A few pics of all the tomatoes to come. 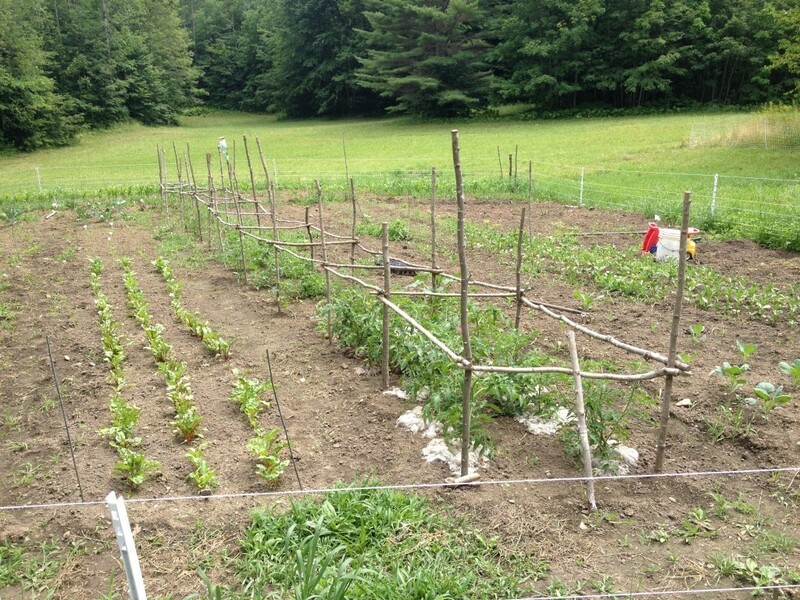 Roughly 100 tomato plants, at 10lbs of tomatoes per plants, this means we’ll be doing some serious canning this year. 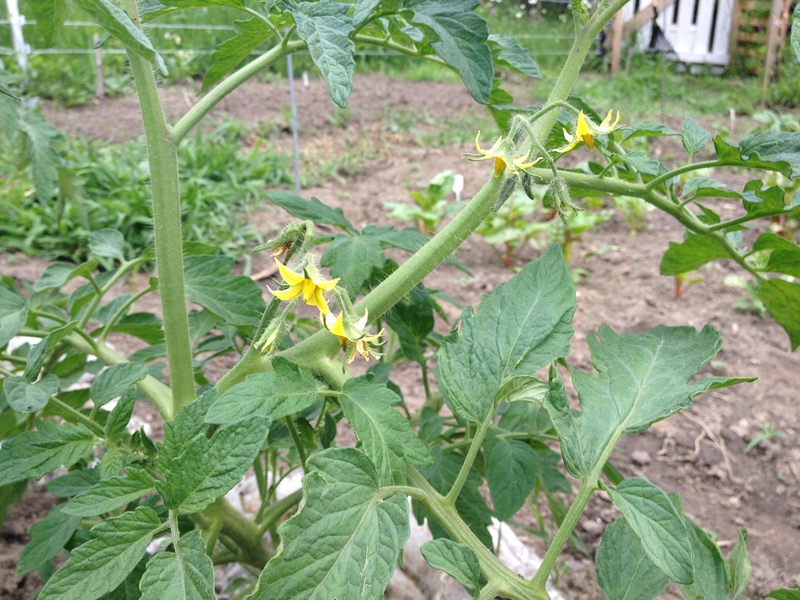 More cheapo frames – the tomato super-highway. Flowers means we’ll be getting some yum-yum soon. 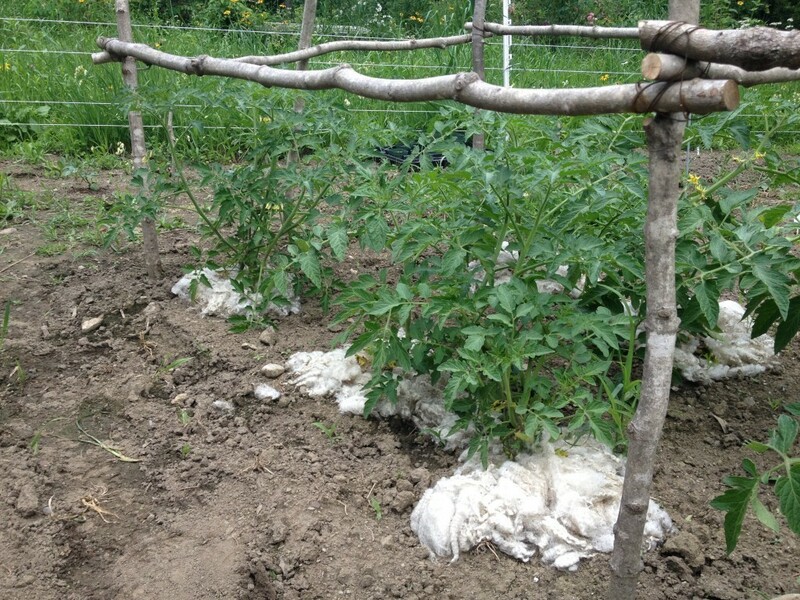 The plants that were planted the earliest of the season were given left-over scraps of wool in order to better retain heat & moisture. They are by far the most sturdy of all tomato plants. Lesson learned. Look at ’em fancy plants, even I don’t wear such nice fiber.